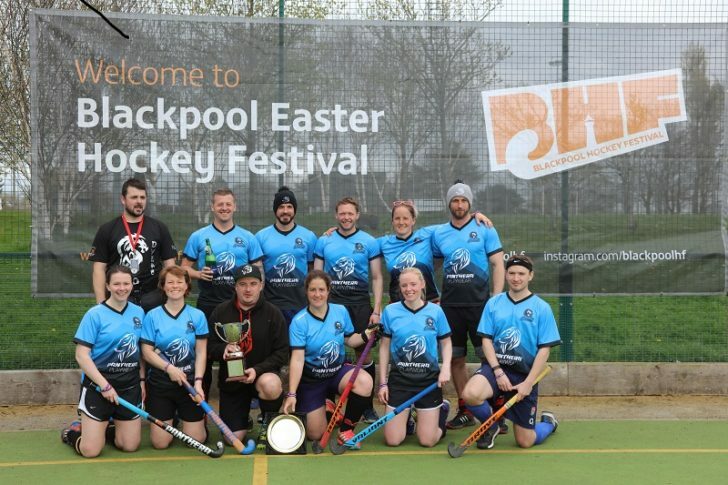 On their first trip to Blackpool as Team Panthera, the touring side who finished 4th in the League stages overcame the two top sides en route to lifting the Steven Kennedy Trophy. In the semi finals, AG Silver Service dispatched Multiple Scoregasms, whilst Team Panthera defeated QUB Elite, with both games finishing 3-1. In the final both sides were level after the allotted time with two goals apiece, so the lottery of Penalties was needed to decide a winner. Team Panthera scored their first three, whist AG Silver Service were unable to hit the backboard. Team Panthera won 3-0 on Penalties. The Blackpool Hockey Festival would like to thank all Teams, Players, Umpires and Sponsors for their ongoing support and we hope to see you all in 2018.